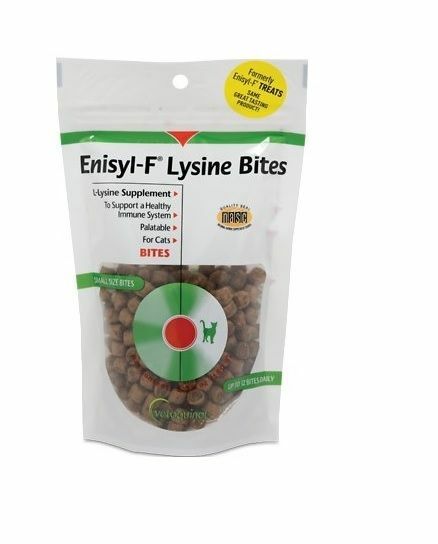 Enisyl-F Lysine Bites are a palatable source of L-Lysine for cats. 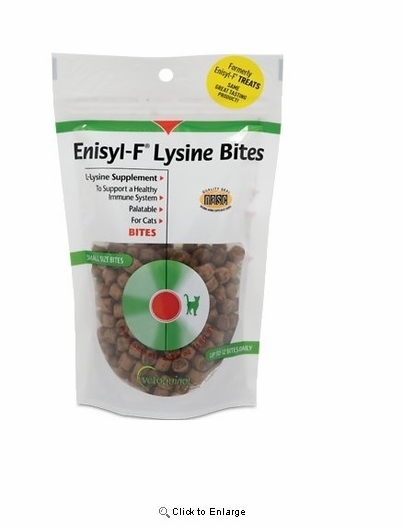 Use of L-Lysine as a supplement has shown to reduce the severity and duration of feline herpes virus infections as well as reducing the frequency of flare-ups. Regular use helps boost the feline immune system. For use in cats only. An examination by a veterinarian prior to use is recommended.